The Place Thorn is the centrepiece of a new district in Merl. In the emerging dense development it creates a space for big events and for neighbourhood encounters. 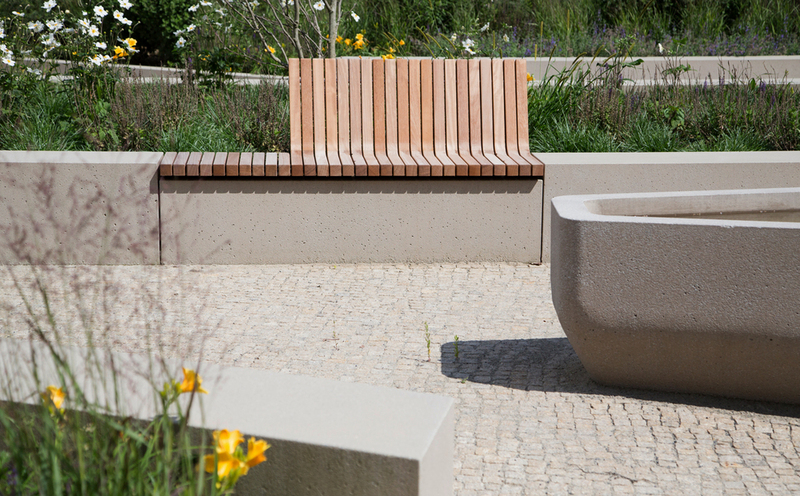 The central open area provides a meeting place around a set of fountains, in the lush 'urban garden' the residents can come to rest. A ramp with dense tree planting at the other end creates the direct connection to the future park and sets another vegetative accent.